German specialist automaker Funke & Will has updated their Yes! roadster, a hand-built Lotus Elise competitor with a new engine – Audi’s 3.2 litre V6 engine. There are 2 options for the 3.2 litre V6 – in normally aspirated form or turbocharged form. In normally aspirated form, you get stock figures of 250hp, but when forced induction is added to the mix, power goes up to 355hp and 488Nm of torque! This power together with the roadster’s light weight of 997kg results in a 0-100km/h acceleration time of 3.6 seconds. For those hungry for more power, there is an additional boost kit upgrade which brings power up to 385hp. Prices for the Yes! 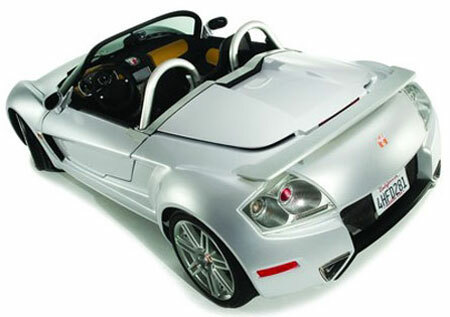 Roadster start at US$72,000, which is actually far from the Elise price range – the base Elise only costs US$42,990. While the car is already light, there is an even more stripped down version called the Yes! Cup/R for track enthusiasts.